I’m really impressed with my nephew’s photos, and I’ve decided I will post them once a week. This will give me a break, as well as show off the garden from Nate’s perspective. I’ve made it a point to teach Nate as many things as possible, and he was a huge help while constructing the greenhouse. I had lot’s of offers of help, but I was on a mission to prove something to myself, and wouldn’t allow anyone older then myself to help me (except my sis Maurice). Here’s a photo of me in front of the barn at my sisters farm. 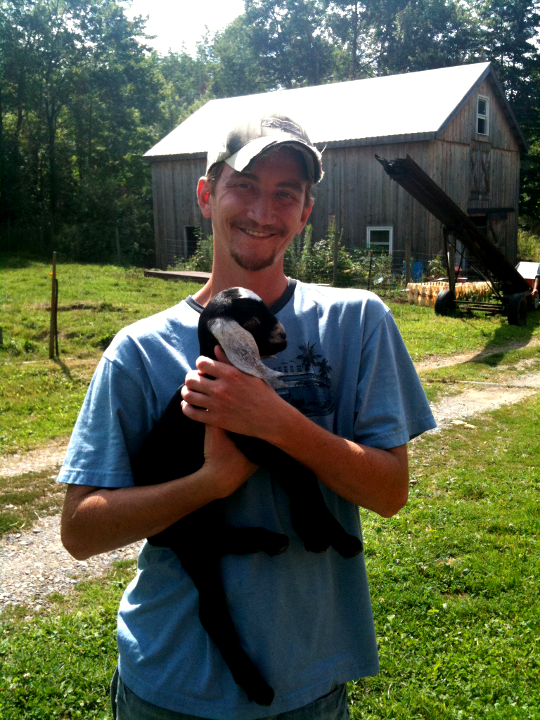 The goat I’m holding seems to think it is a puppy, and even sleeps with 9 of them nightly. It’s very friendly, and it was just too cute, I had to pick it up. 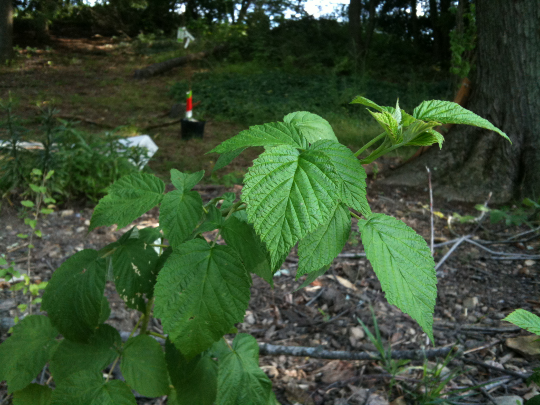 Above are Raspberry plants, which are growing in my Mother’s garden. Her garden is a more conservative size then mine, as she has five tomato plants. I offered to give her more, as I had started well over 600 in the greenhouse; but she said five was plenty. 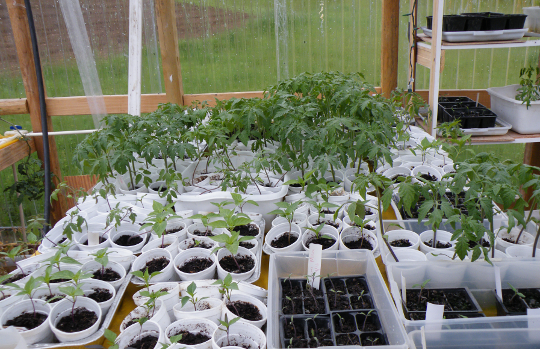 Next year, I’ll plant fewer tomatoes, and more Pepper plants. Guess I better get out there and mow around the perimeter where I hope to expand the garden too….